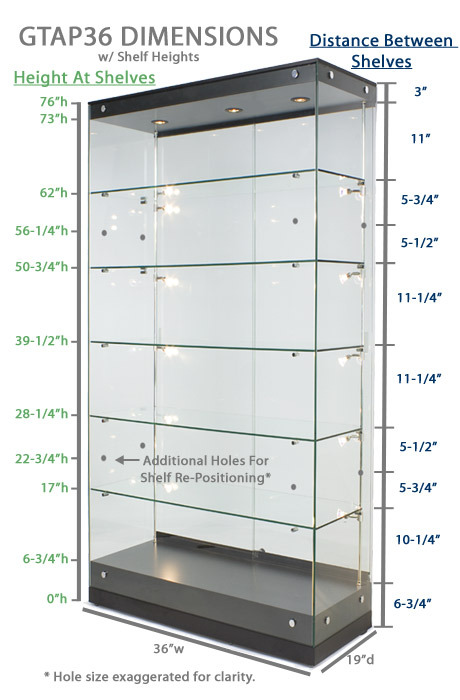 This Lighted Trophy Case is In Stock and Ready to Ship Now! 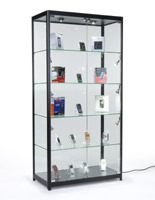 This Showcase Features a Frameless Design! 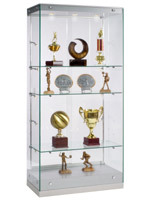 This trophy case is perfect for every setting: school, home, retail and professional. The 36" width of this awards exhibit makes it best to use against a wall to save space on the floor. 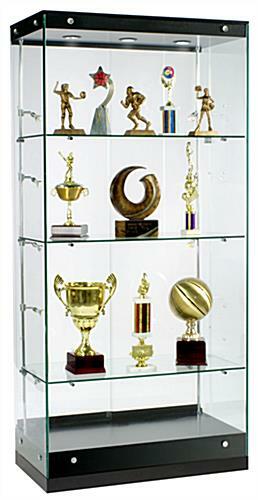 The trophy case, awards exhibit has a totally frameless design, which adds to its upscale appearance. There are no cumbersome extrusions alongside the tempered glass panels to obstruct the view of exhibited awards or collectibles. 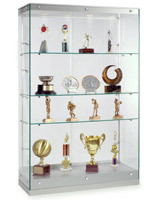 This trophy case is the perfect awards exhibit case for a commercial shop or school! The quickest lead time you'll find on an award display case this size! In-stock award cases ship out today if ordered before 1pm EST! 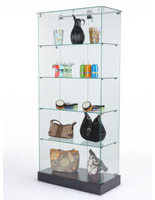 Adjustable shelves allows users choice of 3, 4 or 5 shelves to accommodate products or trophies of varying heights. Please note: Shelf adjustment takes 3-5 minutes. See video below. Ten "swiveling" 20-watt vertical lights plus three 20-watt top lights to aim true, white light right where you want it; most competitors charge extra for vertical side lights! GTAP Shelf Instructions for printable instructions. 35.0" x 76.0" x 19.0"